Big Bookend team member, Halima Mayat, interviews West Yorkshire author of short-form fiction, N J Ramsden, on his writing and reading habits, and his most recent publication Nothing’s Oblong. What inspired you to write Nothing’s Oblong? I always wanted to write a novel. I like the scope of them. This wasn’t my first attempt, but it was the first one I finished. When I started to read literary fiction the first thing I really relished was The Trial by Franz Kafka… There’s quite a lot of that book in Nothing’s Oblong. Your main character is called Joseph Kenspeckle. How did you come up with the name? In The Trial, the main character is called Joseph K so it was a nod to the book. I do like interesting quirky names, the kinds of names you’d find in Dickens, that remind you you’re reading a book and having fun, but don’t distract from the immersion. I found Kenspeckle by looking through a dictionary. It’s Scots dialect for “easily recognisable”. Is he a character based on people you know? I don’t put whole real people into my writing, but I do take bits and pieces of what I observe, from myself and others. In my study, which a quiet small room with only books, computer and typewriter. It’s my cocoon. No, but I need one! I try to get into a routine of writing at breakfast, even if it’s just a few lines. When I am writing drafts, after breakfast I like to sit down at the typewriter with a cuppa. However long the cuppa lasts for, that’s how long I write. I find that while it’s too hot to drink, I think about the page, and when I get into the writing, I sip more slowly. If nothing comes, I drink my tea and shrug it off, but making time for writing usually means you get something down, even if it’s not much. I get ideas throughout the day, and only edit after a draft is finished. Do you prefer to hand write or compose on keyboard? If you do both, does your writing differ if you write on keyboard versus writing by hand? Nothing’s Oblong was handwritten. The first draft was written start to finish almost entirely in order, then typed out into a word processor. Sometimes I draft on a typewriter, sometimes electronically. I think my writing style does differ; writing by hand slows everything down – so does a typewriter. But a computer can allow you to just freewheel and that can help retain energy in the work. The Complete Fairy Tales of Charles Perrault. It was written about 300 years ago but much of his source material is older, and these stories are still familiar and being reworked all the time. I love how different writers treat them in their own ways. I am working on editing my second novella Scissors/Paper/Stone. I am also working on my third novel, and a collection of short stories based on ancient Greek myths. Not to mention my post-grad dissertation on medieval poetry! I am a music dabbler, a sometime wannabe record producer: I recorded one track recently for a charity album. I also make electronic devices. I’m a nerd. How important is social media for your writing? I mostly use Facebook. I have a Facebook page for me as a writer, separately from my personal page. I find Twitter harder to keep up but it does have an effect as I have followers, and I have linked it to my Facebook page and blog. I see a blog like a CV, with news, pictures and links. It is a permanent home with links to Nothing’s Oblong on Amazon, for example. I need to find a way to tie it in with Facebook & Twitter more cleanly but social media is so important these days in having something people can browse. It’s as much about you as a person as it is about the work. 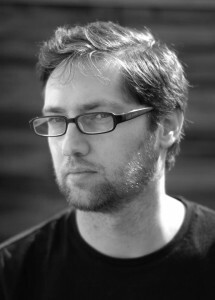 N J Ramsden (also known as Nathan Ramsden) is based in West Yorkshire, and is primarily a writer of short-form fiction. He is influenced by authors such as Donald Barthelme, Angela Carter and Jorge Luis Borges. He seeks to blend traditional story narrative styles with experimentation in order to explore where the familiar and unfamiliar merge. Nathan is currently working on a short collection of modest folktale-like pieces, with the aim of making adults feel like children again. Other projects include the novel Nothing’s Oblong, the novella Scissors/Paper/Stone and the collaborative screenplay Tell Me Lies About Love. Nathan’s Amazon Writer page can be found here. Join Nathan on social media! 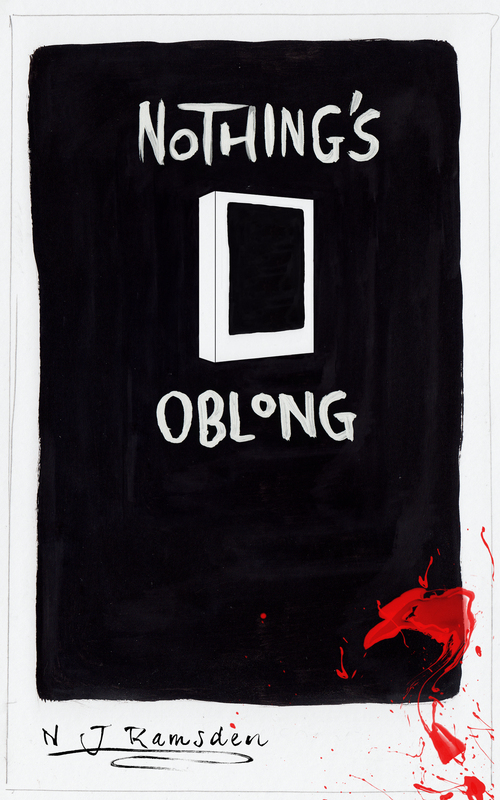 Nothing’s Oblong is a darkly comic look at obsession, fate, and one man’s fight to make sense of it. Available to purchase now from Amazon.co.uk. 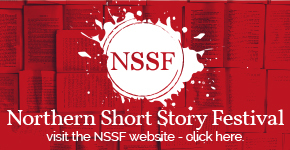 Next story Our Indie Writers Festival – 21st February 2015 – is Coming!